Following the enormously successful V&A exhibition David Bowie Is, Saffron Screen will be showing a LIVE cinematic tour of the exhibition at its state of the art auditorium next week. 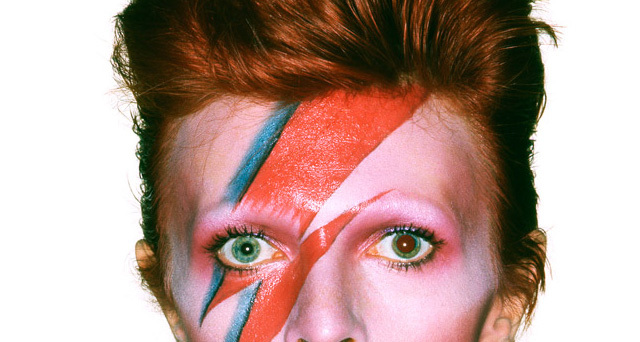 David Bowie is happening now is an atmospheric, behind-the-scenes tour of the exhibition and will include interviews with the curators and influential creatives who have collaborated with or been inspired by David Bowie across his long and varied career. It will be broadcast direct from the Museum on the evening of Tuesday 13 August and forms a grand finale to this astonishing exhibition and gives cinema audiences one last chance to see it before it goes on international tour. The V&A was given unprecedented access to the David Bowie Archive to curate this first retrospective of the extraordinary career of David Bowie. It displays 300 objects that have been brought together for the very first time including original costumes, Bowie’s own instruments, sketches, handwritten lyrics and design notes, together with fantastic music and film. The film will include exclusive footage from the exhibition never before seen on the big screen, including animated footage of Bowie’s original storyboards and notes for a film version of the Diamond Dogs stage show; footage of the Diamond Dogs tour; rehearsals for Station to Station; a behind-the-scenes photo shoot with Herb Ritts, and rare BBC radio archive interviews with Bowie. Audiences are urged not to miss this ground breaking exhibition of a musician who has left an indelible stamp on the look, style, sound and attitudes of his time.